We’re doing something different for this New Year’s celebration. 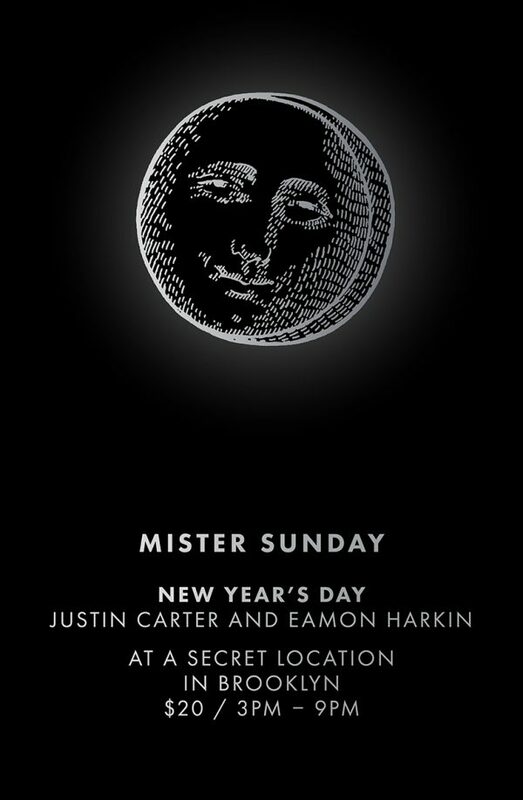 Instead of a big, nighttime blowout, we’ve reserved a small loft (a perhaps familiar second-floor space with wood floors, good sound, inexpensive drinks, and an outdoor balcony for a chat and fresh air), and we’re doing a New Year’s Day Mister Sunday. New Year’s Eve parties can get crazy, and this year, more than ever, we want to ring it in with a dancefloor that’s really tuned in. We thought a daytime party on the 1st would be the best way to do that. You can get tickets here. We’ll send the address out to ticket-holders with ample time to make plans, but don’t worry, if you’ve been to a Mister Sunday indoors, you’ll know the spot – it’s really easy to get to. That’s all for now. We’ll see ya soon.